Limited Edition of 5000! The Gold flashed Team Commemorative Coin is featured in a 3.5" x 5" acrylic engraved with the NHL Shield Logo on the reverse of the coin. 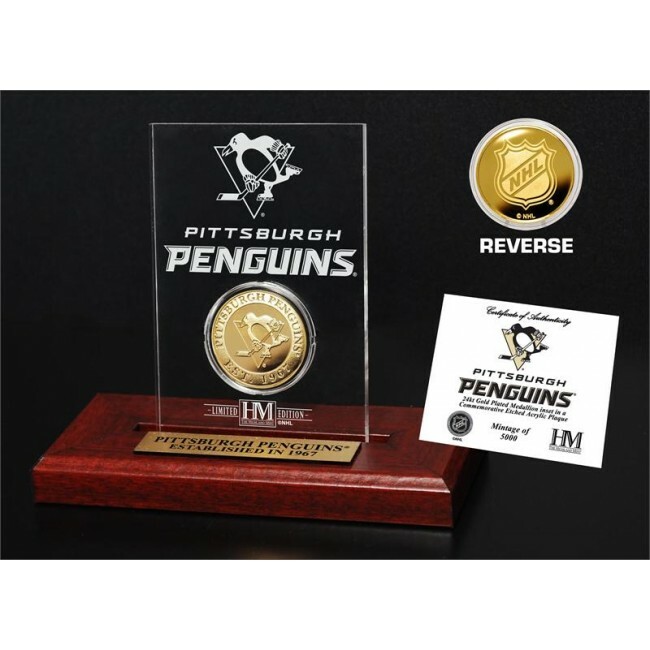 The individually numbered 39mm Minted Gold flashed Coin and engraved acrylic is delivered with a wood base that includes an engraved nameplate as well each is accompanied by a Certificate of Authenticity. Officially Licensed by the NHL.